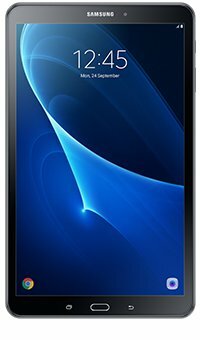 The Samsung Galaxy Tab A 10.1 looks so great, it's a joy to carry around. Weighing just 525g, it boasts a cool, modern design with soft, textured materials. Superb vibrant colours and a super-high resolution 10.1-inch screen provide a breath-taking viewing experience for all your images, videos and movies. 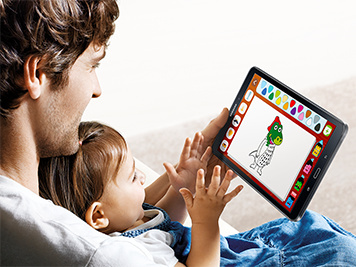 With Kids Mode 4.0 you can manage what they watch and for how long giving you complete peace of mind. 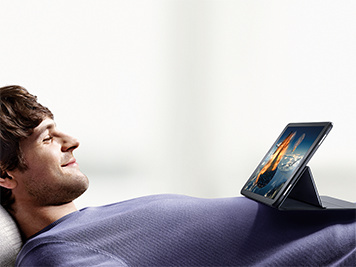 The Galaxy Tab A 10.1 also allows you to share photos and videos from your tablet to your TV screen through Wi-Fi Direct.